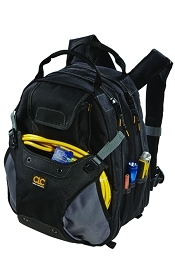 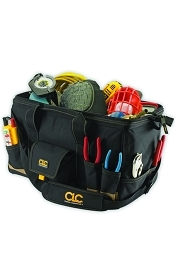 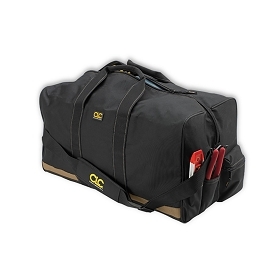 The model 5105-24 canvas tool bag by Klein is a 24" wide, vinyl-backed bag that will hold all sorts of tools with ease. 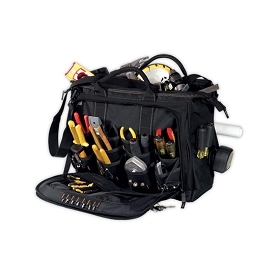 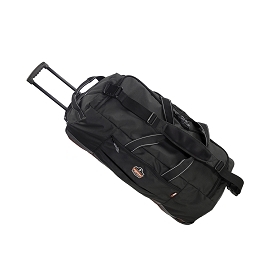 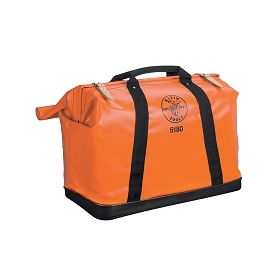 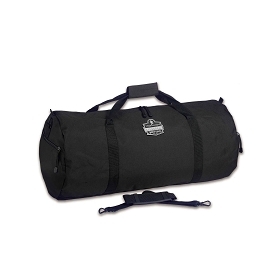 Not only will this large tool bag provide you with plenty of room, but it also will protect whatever you place in it from moisture. 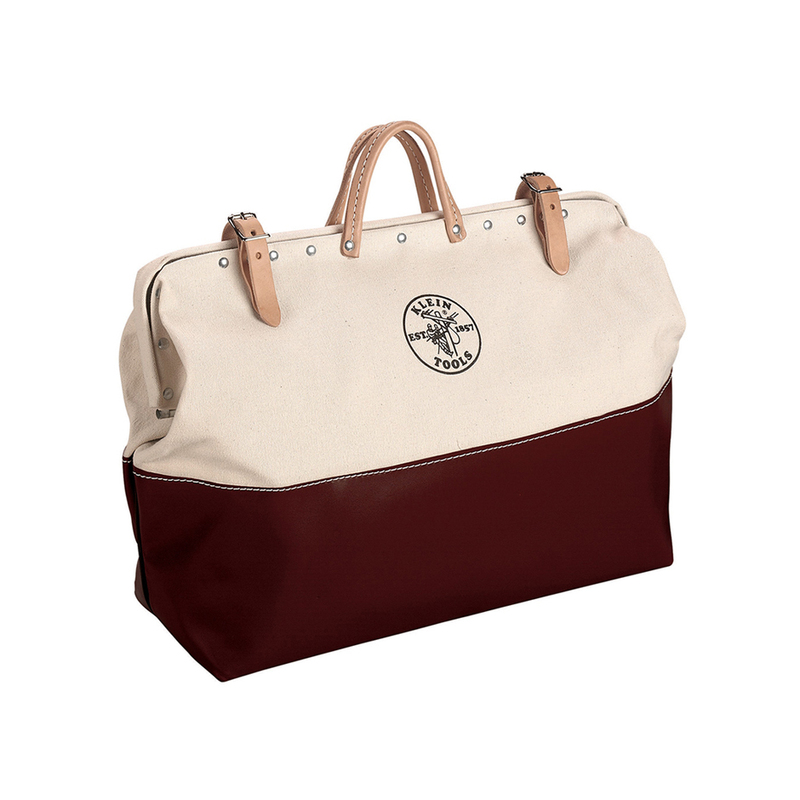 Heavy duty leather straps and handle drive home the point that every piece of this bag is made with quality in mind.